LeShai Phelps joined the Bluegrass IIBA Chapter a few years ago in hopes of networking with other analysts in the Lexington area and to obtain knowledge to help her to learn BA practices. LeShai graduated from Eastern Kentucky University with a Bachelor’s degree in Business Management. 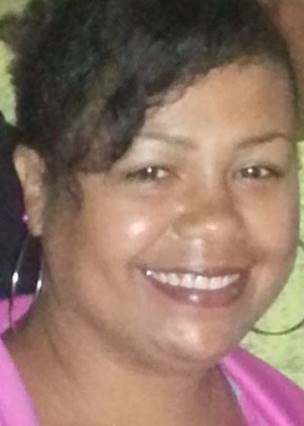 Early on in her career, she was on a path to be a call center manager. Starting off as a customer service representative at a major communications company. The company was purchased by an even bigger company and her job was no longer available. This led her on a job search, where she found her niche at Tempur-Pedic, where she has been for the last 12 years. Within a few short months, she became an account manager, and was promoted to a supervisor. During this time, she collaborated on several IT projects to help upgrade and enhance the current ERP system. This included composing process maps of current and future state processes, information gathering, composing training documentation, and training users. She was recruited by the IT Department to join the company’s ERP implementation team, where she became very familiar with the business analyst role and realized she had been doing the function for several years. 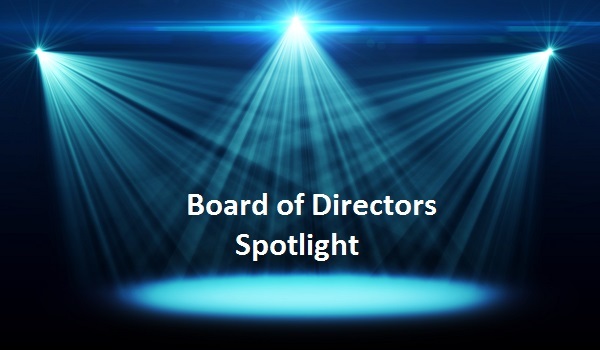 In 2015, she was recruited by the Director of Marketing Strategies to fill the role, so the current position holder could accept the role of Vice President of Marketing and Communications. In 2016, the VP resigned, allowing LeShai the opportunity to fill the position. One of the first contributions LeShai made, in collaboration with Aaron, the current VP of Professional Development, was the creation of the Chapter’s quarterly newsletter, Bluegrass BA Connection. LeShai currently lives in Richmond, KY. In her spare time, she loves to cook, travel, and spend time with family and friends. She is currently studying for the CBAP certification, which she hopes to obtain by Fall of 2017. She looks forward to working more with the Bluegrass Chapter and determine ways to increase engagement in the Chapter and attendance to meetings. According to Wikipedia, a business analyst is someone who analyzes an organization or business domain (real or hypothetical) and documents it business or processes or systems, assessing the business model or its integration with technology. The International Institute of Business Analysis (IIBA) describes the role as "a liaison among stakeholders in order to understand the structure, policies, and operations of an organization, and to recommend solutions that enable the organization to achieve its goals. In our organization, we ask our BAs to do much more than that! BAs are gaining an increasing strategic role within the organization. BAs act as the focal point for key organizational knowledge about business processes and IT systems. They are subject matter experts! BAs “own” the relationship with the business area that they support, becoming a trusted member of their team, not just working with them on approved projects. BAs need to be much more technical in their knowledge of the applications already in the environment and the ones being installed. They are no longer just translators between the business and IT, but are now acting as architects of the business. BAs have become much more involved in Quality Assurance and end-to-end testing, making sure there are good test cases for all of the requirements that have been gathered. BAs have taken on a much more active role in creating Training documentation and the actual delivery of Training. As a manager, it is important to support the BAs with both their business contacts and the rest of the IT organization. As their knowledge and skillsets grow, they become more in demand and it is up to the manager to help prioritize their work and give them the tools they need to be successful. Managers must create the opportunities for them to become engaged with their business partners, and monitor that relationship to ensure it is healthy and productive. It is the manager’s job to create an environment where the BAs can work collaboratively and share their experiences with each other, even if they are working in different areas of the business and on different projects. They learn as much from each other as they do from any other source! Managers should ensure that the BAs have the opportunity to dig into the applications beyond the basic functional processes so they can be that “business Architects and subject matter experts” who are needed to make sure solutions will work within the environment. Help them develop closer working relationships with the technical teams. If the BAs have a better technical understanding of the solution, it will be much easier to discuss solutions with the developers and make the documentation easier to understand. Give them the training they need to be able to do a thorough job at gathering and documenting requirements, designing solutions, and creating training documents, test cases, as-is and to-be process maps, and anything else they are asked to produce. Today we are asking our BAs to be much more flexible in what their duties entail. They have become a very important resource to the Business and IT. As managers, we must help mentor and support them and allow them to grow into productive and successful members of the organization! Tempur-Pedic began making Mattresses in the U.S. in the early ‘90’s using a special material that was originally created by NASA, who was trying to develop a cushioning material for aircraft and spacecraft that would help astronauts better cope with the enormous G-forces they experience, especially during lift-off. Over the years, the original formula has been improved to create the special feel and support of the Tempur material. Today, Tempur-Pedic has joined Forces with Sealy to become one of the world’s largest Bedding companies. As Tempur-Sealy has grown, the IT organization has aligned with the business areas to provide support and expertise which help to move the company forward. It became very apparent a few years ago that IT needed liaisons between the IT department and various areas of the business. 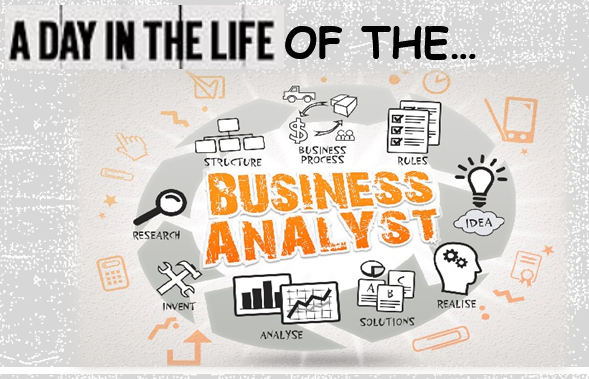 These Business Analysts needed to have a deep understanding of what the business area does, and how IT can help. We created Business relationship managers to support the Corporate functions, Sales and Marketing, and Operations. Each of these managers has a team of BAs with deep knowledge in that specific part of the business. Some of the BAs came from a technical background and learned the business, and others came from that business area and learned the technology. It has been a very good mix for us. The BAs work closely with their business partners to understand what their plans are and how IT can support their needs. They become an important part of the Business team. As the business looks at new vendors and new functionality, the BA helps make sure things being considered fit within our technology stack, or brings in the Architects to determine if IT needs to make changes to the standards. This avoids a lot of surprises and the need to support multiple redundant platforms. We also have BAs that work across the business areas on specific platforms. Today we have a team of dedicated BAs working on our global ERP implementation, and another team working on Business Intelligence and Reporting. These teams are instrumental in keeping all areas of the business using the same processes and toolsets, and protecting our enterprise data. As the company continues to grow and evolve, the flexibility of our BA team allows us to support the business and be a trusted partner in all their planning and projects. Bluegrass IIBA Chapter welcomes Justinmind as our newest chapter sponsor. Established in 2014 in San Francisco, CA; Justinmind offers tools that can vastly improve your project requirements lifecycle. The tools can be used for any type of project methodology, but have unique advantages that provide extreme value to Agile processes. The prototyping tools allow analysts, designers, and other stakeholders to easily create, share, and modify wireframes and mockups for various products, such as websites, mobile apps, and wearables (think Fitbit and Google Glass.) The WOW factor comes when the wireframes and mockups are then turned into interactive prototypes, which can then be shared with/demoed to the stakeholders. Justinmind offers a 30 day trial download of their Prototyper for PC/MAC. Justinmind Prototyper app comes with a 3 minute training for beginners, plus an option to learn more and become an expert. Justinmind also provides a user community, where users of the Prototyper can ask questions and get answers. The community is monitored by Justinmind tech support, so that real issues get fixed quickly. Justinmind helps in collaboration by offering integration with Team Foundation Server (TFS), JIRA, and Doors, as well as secure enterprise collaboration and requirements management tools. Visit Justinmind.com, where you can take a tour, ask questions, download the app, read the blog, and share your own experiences. To introduce the Justinmind prototyping tool to our community, Bluegrass IIBA Chapter will host a webinar on Thursday, April 27, 2017 at noon ET. We will highlight the many advanced features of Justinmind Prototyper so you can determine how to put it to use for you and your organization. ASPE Training offers members and participants of Bluegrass IIBA Chapter unlimited Business Analysis courses for a year for $2,995. Students will have access to all ASPE Business Analysis courses (public in-classroom and live online) training opportunities for one whole year. There are over 30 courses to choose from, with over 700 scheduled course deliveries. Here are the menu options. Those interested may contact Mike Mazzarella at ASPE Training, mmazzarella@aspeinc.com. International Institute of Business Analysis (IIBA®) awards chapters for excellence in many categories annually. 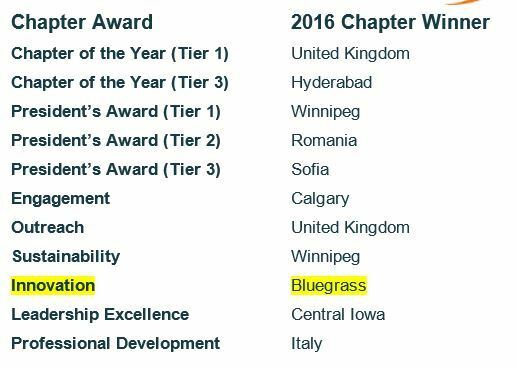 Last year Bluegrass IIBA Chapter received Honorable Mention for the Innovation Award. The categories change from year to year but the theme of the awards are in Overall Chapter Performance, Alignment with IIBA Goals and Initiatives, Leadership, Innovation and Community Engagement. 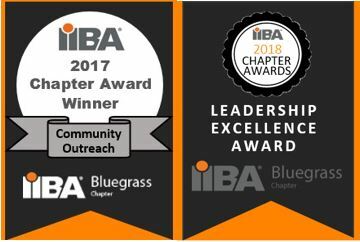 There are eight award categories this year and Bluegrass IIBA Chapter is once again nominated for the Innovation Award; and this year we have added a nomination for the Chapter Engagement Award. The Innovation Award is awarded to the chapter that demonstrates the greatest example of innovation. The Chapter Engagement is awarded to the chapter that demonstrates the greatest opportunities to engage chapter members and BA professionals within the community. Bluegrass IIBA Chapter is proud to have one of the most innovative programs of all 120+ chapters worldwide that engages our members and organizational change professionals in the Bluegrass region. 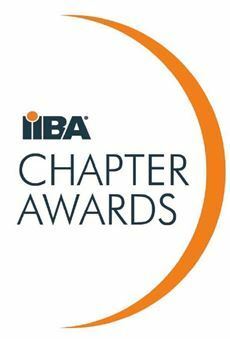 Chapter Awards will be announced during the Building Business Capability (BBC) Conference, the official conference of IIBA®, on November 1st. Cheer for our chapter to win both of these awards!